So this is a little bit of a different New Amp Day. I just received the shipping confirmation for my Fryette Power Station so now we start the waiting game. For those who don't know about the Power Station it is a bit of a jack of all trades for studio and live usage. Essentially it very transparently turns your amp signal into a line level and then feeds that into an amazingly transparent 50 watt power amp with volume and eq control so you can turn it from speech level volume all the way up to a full clean 50 watts. 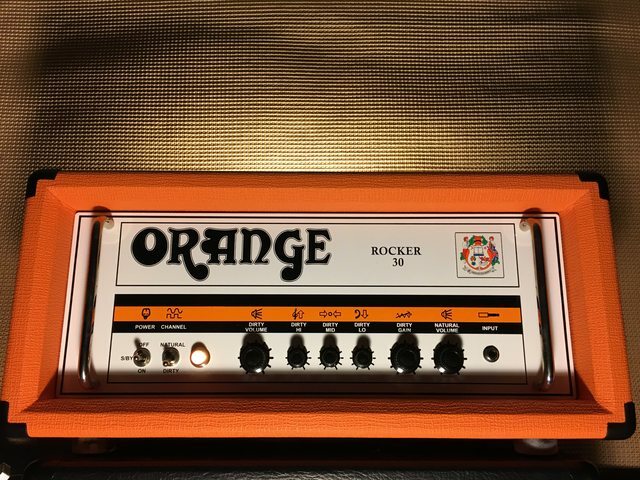 So this would let me crank my 100 watt Marshall and then manage the volume all the way up to a full 50 watts which would be already louder than I could get away with on stage, all the while keeping the tone of the cranked 100 watts. In fact it states it handles up to 150 watts perfectly safely. I can also do this without a speaker cab attached and go straight into a DAW with cab sims (such as Wall of Sound III) for silent recording. Otherwise I can run something like a POD or Guitar Rig into it for tube power amping a digital signal. Finally, I can take my little 4 watt Vox themed 60s bakelite radio amp, set it to that sweet spot which is far too quiet to use outside of the bedroom, and then re-amp it up to a full 50 watts. Really, the only problem with this unit is that I feel I should have bought two of them. The demos have been very favourable, with even Dave Friedman stating he wanted one. Can't wait for it to arrive. Should be within the next week or so. Last edited by OU818 on Fri Jul 31, 2015 12:45 am, edited 1 time in total. NICE! CONGRATS! I'd never heard of it before....oddly, I was just thinking yesterday whether something like this exists. I'd only ever seen (and briefly owned) the Bad Cat Unleash.The Tube power amp in this would make all the difference. I'm impressed with the design. How do they fit transformers in that thing?? Jondog wrote: NICE! CONGRATS! I'd never heard of it before....oddly, I was just thinking yesterday whether something like this exists. I'd only ever seen (and briefly owned) the Bad Cat Unleash.The Tube power amp in this would make all the difference. I'm impressed with the design. How do they fit transformers in that thing?? Steve Fryette has managed some pretty amazing stuff with his tech lately. really interesting piece of gear! Waiting for your feedback. At that size and weight it'll almost certainly have toroidal ('doughnut' shaped) transformers. That's a pretty unusual piece of gear!!! How do you intend to use it? Can you use it with a preamp? Or do need to feed it with the cab tap? It's not an unreasonable price either for all it does. Better value than the Badcat Unleash I'd say. The Class D amp in the Badcat really isn't as pure as they say. Well it just got delivered however I am at work so will be doing the unboxing and first impressions when I get home. Kind of stoked it made it here before the weekend. Yeah I use their Wall of Sound plugin on my mac. It's pretty accurate to my ears. Hi, I know it’s a LONG time later, but what did you think of the Power Station? I’m interested in it for use with my OR 15. There’s been a few times where I wanted a little more volume when I have the master maxed. Or some times when I ha7it set really clean but it could be louder. It would be nice to have the flexibility that thing offers. All the demos IV seen are about attenuation. I think someone here had one, hopefully will chime in. From what I see and read it’s great. 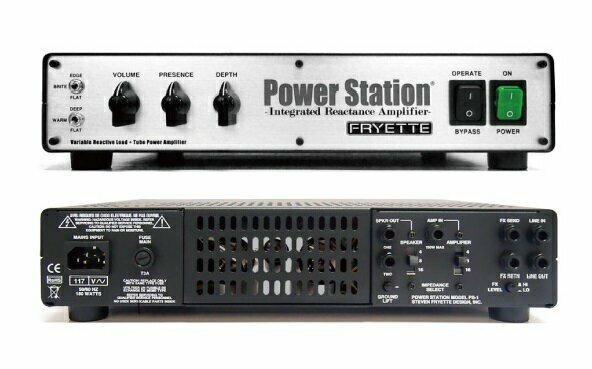 Fryette make great amps so the quality should be there. You might hold out for a bit as Boss is releasing something similar soon which looks great on paper. Everything is great. Yes 5810 has one and loves it. The fact that the to be released boss includes reverb and delay could swing it if the quality is comparable and price near. Had one for a few years now and it is an excellent piece of gear. Used it as an attenuators for valve amps to silly low volume , boosting 15 watt amps to higher volumes, running pod xt through it ( doesn’t really make it sound any more like a valve amp as the whole point is the Fryette doesn’t colour the tone) and currently as a load box running into an itrack dock and iPad with Celestion impulse responses. I have an OR 15, tiny terror, coup of blackhearts amps, laney l5t, 25 watt silver jubilee and a victory v40.... it sounds great with them all. I think I’ll wait to see what Boss comes out with before I do anything.